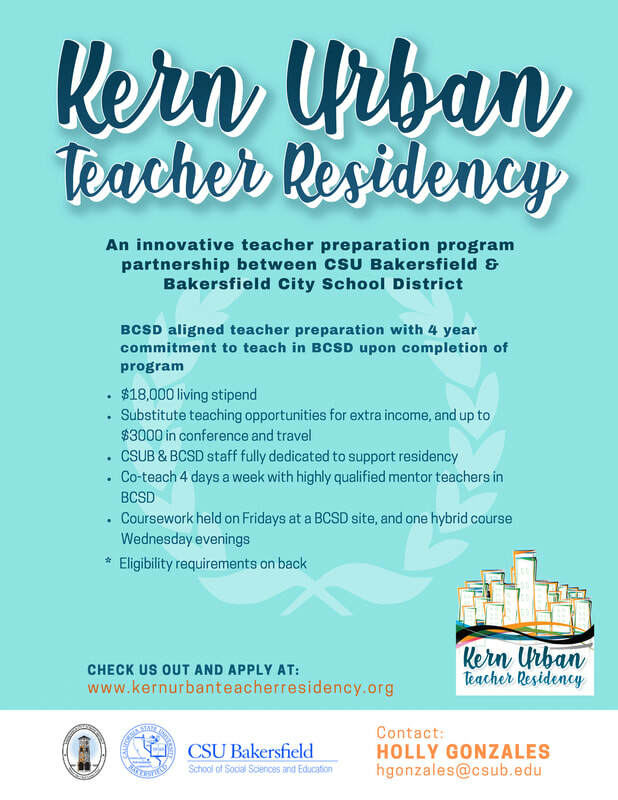 The Kern Urban Teacher Residency is an innovative teacher preparation program and partnership between CSU Bakersfield and the Bakersfield City School District. We are dedicated to educating highly prepared teacher candidates through implementation of unique coursework and clinical practice methods that were developed by CSU Bakersfield and BCSD educators. Currently RECruiting Multiple subject & Single Subject MAth & Science resident Teachers for 2019-2020 academic year! Apply on the "About" page and attend an information session! Building the Future One Teacher at a Time!